Superior Tooling, Inc. was founded in 1985 with the vision of becoming an industry leader in plastic injection molds through quality tooling manufactured by expert craftsmen, using cutting-edge technology. We maintain that commitment daily, striving for constant improvement to earn and to keep your business. 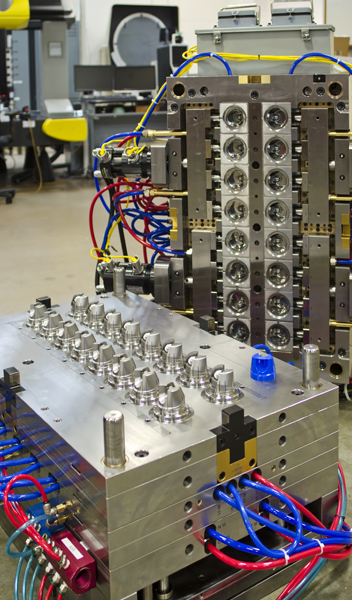 Superior Tooling specializes in plastic injection molds, blow molds including injection blow molds for bottle molding, die casting dies and tooling, compression molds, jigs and fixtures, stamping dies, and precision machine work. Our impressive range of equipment in-house helps insure a top quality job and on-time delivery. You can quickly see an overview of our products, capablities, and principals in our video, or browse through our site to learn more details about us. Superior Tooling is dedicated to providing you top quality molds and tooling, on time, for a fair price - SUPERIOR TOOLING.